Somewhere in a school near you, a teacher is struggling to handle a query from a student whose laptop has a flat battery or another who's watching a funny cat video on a phone. Perhaps the wireless internet connection is dropping in and out, or the electronic whiteboard is playing up. While teachers are expected to integrate technology into the classroom, the reality can be very different. Some of the issues teachers can face relate to the technology itself. Others relate to student or parent expectations, or whether there's enough of the right professional development to help teachers become proficient in digital technology. Without addressing these concerns, we risk creating a generation of students ill-prepared for a digital future. No doubt digital technologies can enhance learning through accessing information and improving communication, as well as providing self-directed and collaborative learning opportunities. ICT skills can also help develop capable, future-ready citizens. So over the past decade, teachers have been expected to integrate digital technologies. Students might be "digital natives", comfortable with and immersed in technology, but they depend on teachers to learn through digital means. The curriculum requires teachers to develop students' general information and communication technology (ICT) capabilities across all fields of study, alongside the "technologies" curriculum. 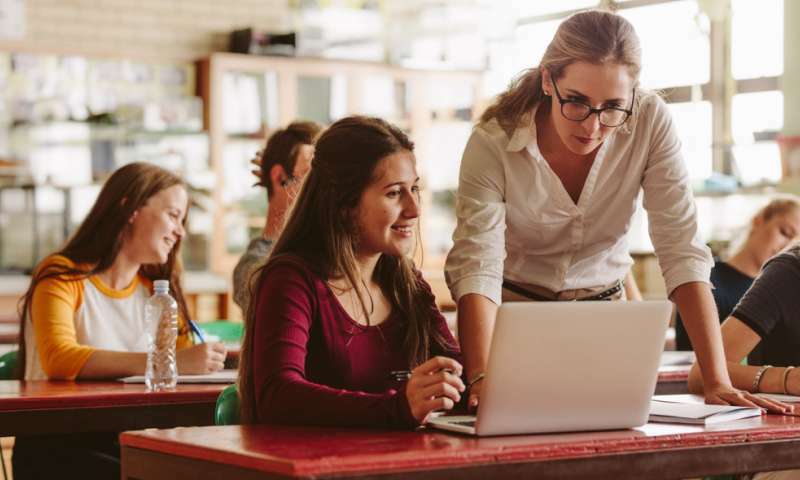 Governments have prioritised getting digital technology into schools with large-scale programs such as Connected Classrooms in NSW and the national Digital Education Revolution. Pre-service teacher training programs have been advised to "enhance" initial teacher education by using innovative technology practices. The Australian Institute for Teaching and School Leadership (AITSL) also expects all teaching levels to effectively implement, use, model, lead and support ICT technologies. Despite significant resources allocated to integrating technology in the classroom, many teachers have struggled with disruptions that devices can bring, had their work negatively impacted or have not used technologies effectively. And many pre-service teachers perceive introducing new technologies as a future teaching barrier. Here are ten reasons teachers can struggle to use new technologies in the classroom. Technology isn't always the answer. Pre-service teachers have reflected on having preferences for manual writing (compared to typing) and incidences of doubling up on time writing notes. Students can also prefer reading print and teachers can disengage from introducing new technology when they don't feel it adds anything extra. When students are required to bring their own device to school, there can be large differences in device capability, for example between what a cheap android phone can do compared with an iPad. Students may have difficulty writing on small devices over long periods. Teachers may need to give multiple instructions for many different devices. Students regularly use devices for social media, playing games, instant messaging, text messaging and emailing rather than for class work. Students have been described as "digital rebels" (accessing social media and texting), "cyber wanderers" (succumbing to virtual games) and "eLearning pioneers" (undertaking online studies during classtime). Lessons are interrupted by regular negotiations that reduce lesson time. This is related to students not putting screens down (during instructions), concealing screens from teachers' view, pretending devices don't work and devices being insufficiently charged. Here’s how teachers can integrate technology into the classroom. Digital technology training and preparing lessons to include new technologies can also be time consuming. There are nearly 300,000 teachers across Australia. They need access to ICT improvements for classroom implementation and to keep up with continuous technological advances. This needs to be regular, scaffolded and sustainable. Yet, allocation of professional learning resources has been reported as sporadic in scope and quality. Not all students or teachers use a computer at home, are frequent users, have sufficient data or internet access. There is a digital divide of reduced computer literacy in students from Indigenous, lower socioeconomic or regional/rural backgrounds. This creates challenges for teachers if they have to set different tasks for different students, or if they avoid setting homework with a digital component. Immersion of students in digital technologies has created additional demands for teachers to protect students' behaviours online (safety, legal risks and privacy) and in the classroom (theft and locking of devices). A wide range of research has established that if teachers don't believe in using digital technologies they will fail to transform classes, align with learning goals and integrate technology into curricular content. Appropriate access to technical support (classroom, informally), availability of infrastructure (computer labs, software), policies (whether to administer digital homework) and time allocated to incorporate new technologies are major challenges for teachers. There have been tensions from teachers confiscating "personally owned" devices, difficulties accessing power sockets and when students find information online that conflicts with what the teacher is teaching. What can we do to overcome these struggles? There is no single technological solution that applies for every teacher, every course, or every view of teaching. Integrating technology in the classroom is a complex and varied process for many teachers. Meaningful technology integration depends on more than device use. There are important steps to make sure integrating technology aligns with how you teach and what you are teaching. Professional development has tried to address teachers' technology struggles. But much of it has been limited to one-shot or "one solution for all" strategies. We need an approach to ICT professional development with different layers to handle the many various situations teachers find themselves in and to handle varied levels of teaching experience and confidence. Developing a common vision about the role of ICT in education with stakeholders and creating a shared community of practice is important. Without holistic improvements to teacher support and training that address the many issues teachers face, there's the risk of creating a generation of ill-prepared students for a digital future.